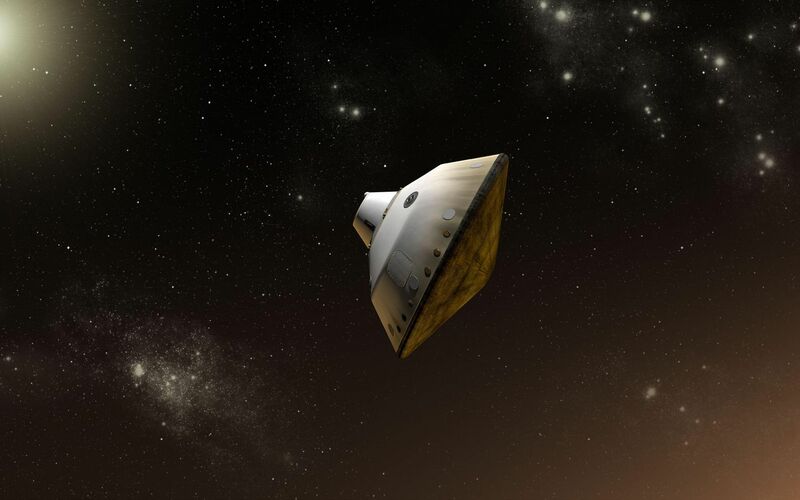 This is an artist's concept of NASA's Mars Science Laboratory aeroshell capsule as it enters the Martian atmosphere. The Curiosity rover and the spacecraft's descent stage are safely tucked inside the aeroshell at this point. The aeroshell includes a heat shield (on the right, facing in the direction of travel through the atmosphere) and backshell. The diameter of the aeroshell is 14.8 feet (4.5 meters), the largest ever used for a mission to Mars. 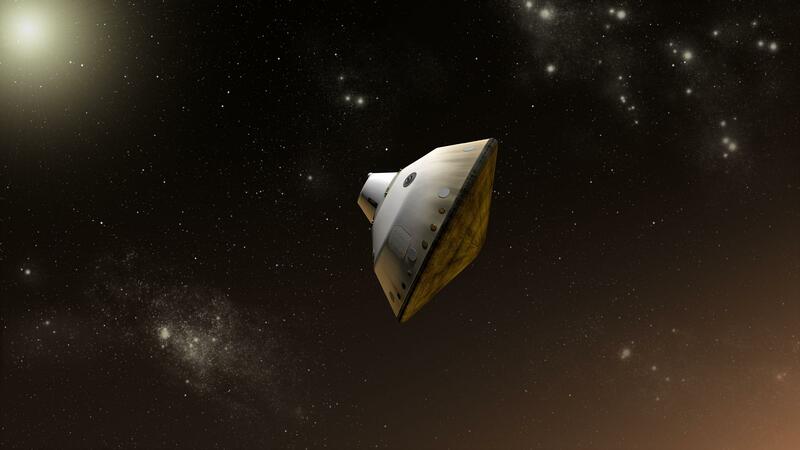 The Mars Science Laboratory spacecraft is being prepared for launch during Nov. 25 to Dec. 18, 2011. 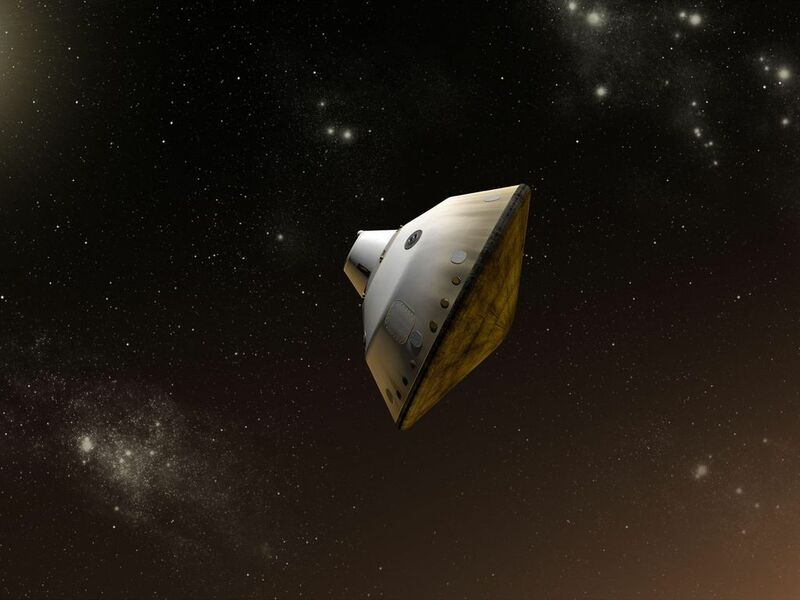 Landing on Mars is in early August 2012. In a prime mission lasting one Martian year (nearly two Earth years) researchers will use the rover's tools to study whether the landing region has had environmental conditions favorable for supporting microbial life and for preserving clues about whether life existed. More information about Curiosity is at http://mars.jpl.nasa.gov/msl/.